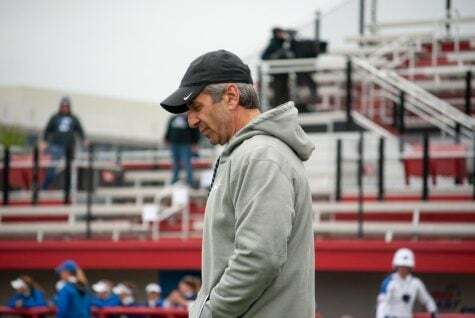 DePaul scored one in the third, three in the fifth and four in the seventh to bury St. John’s in the Big East Championship title game on Saturday at The Ballpark in Rosemont. 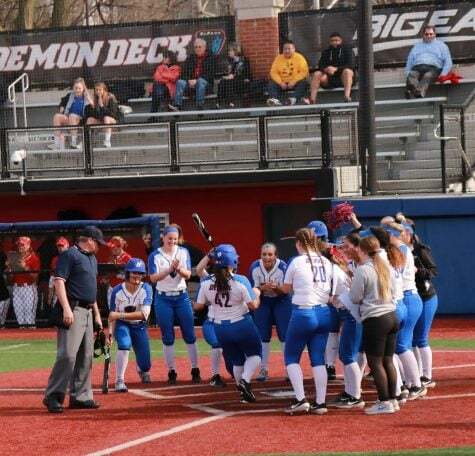 DePaul scored their first run in the third inning on the back of three consecutive singles from Dylan Christensen, Jessica Cothern, and Nicole Pihl. Megan Leyva left two runners stranded with a strikeout to end the inning, leaving the Demons with a one-run advantage through three-and-a-half. St. John’s struck back in the bottom of fourth, getting two runners aboard with singles from Savannah Warren and Krystal Puga. Warren scored on a sacrifice-fly from Gretchen Bowie, then Puga scored on a tripled launched from the bat of Brittany Garcia. DePaul, however, was unfazed. A Dylan Christensen walk and a Nicole Pihl single set up a sacrifice fly from Megan Leyva to score one. Then, following an Alysia Rodriguez walk, Haydn Christensen drove home two runs with a hard single to take back the lead. 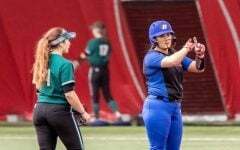 St. John’s hinted at a comeback in the sixth when a Christina Melendez double scored Krystal Puga from first base, but Missy Zoch made quick work of shutting down the tail-end of the Red-Storm’s batting order. 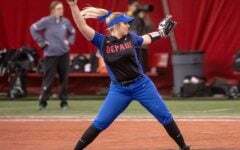 With a one-run lead going into the seventh and final inning, DePaul went for the jugular. 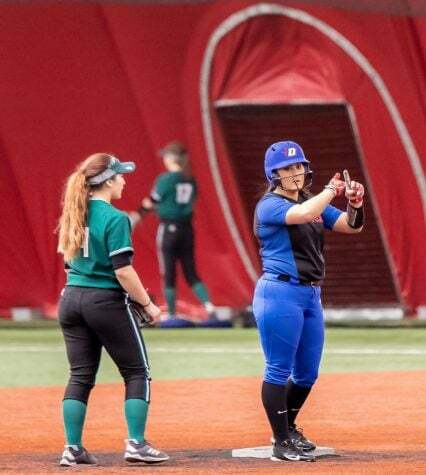 Pihl got aboard with a walk, then Leyva with a single before Alysia Rodriguez smoked a triple down the first-base-line to extend the Blue Demon lead to three. 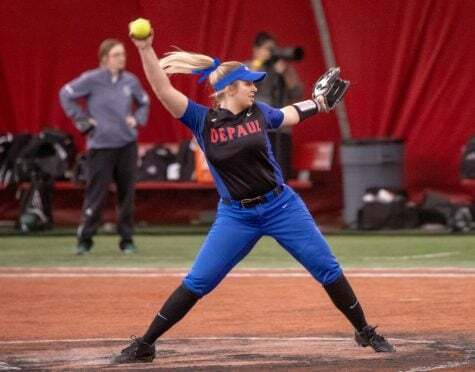 Sabrina Kuchta added two more with a 2-RBI single for DePaul’s last two runs of the game, giving Missy Zoch a five-run cushion to work with in the bottom of the seventh inning. 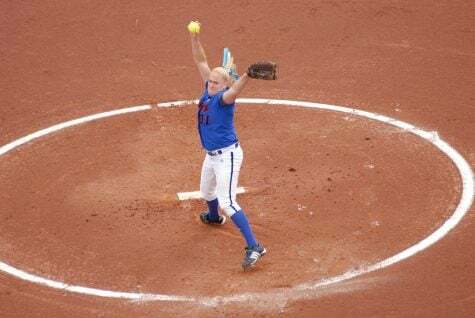 Zoch missed a few pitches early in the seventh inning but battled back to close out the championship with a routine groundball to shortstop Haydn Christensen, who threw to her sister Dylan Christensen, for the final out. Zoch also added two more strikeouts in her final inning. 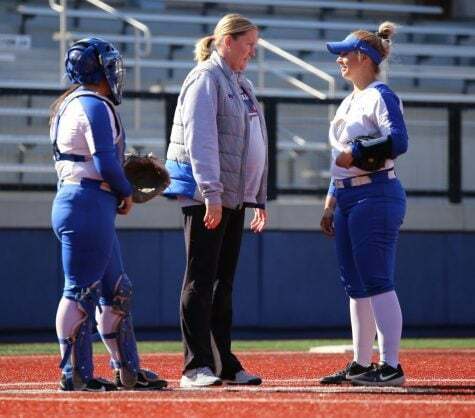 DePaul earned themselves a spot in the College Softball NCAA Tournament with the Saturday’s win.